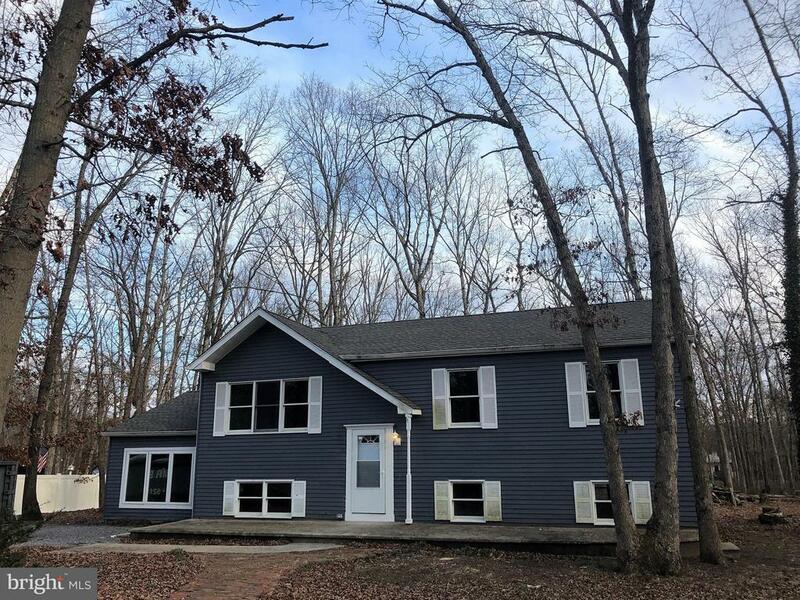 All Atco homes currently listed for sale in Atco as of 04/20/2019 are shown below. You can change the search criteria at any time by pressing the 'Change Search' button below. If you have any questions or you would like more information about any Atco homes for sale or other Atco real estate, please contact us and one of our knowledgeable Atco REALTORS® would be pleased to assist you. "Welcome to this beautifully appointed 5br/4.5ba custom home that screams pride of ownership. Enter the home by way of the grand foyer which leads to the formal living room and the study with built-ins and glass doors. Make your way into the spacious family room and massive eat-in kitchen with dining area. The kitchen boasts ceramic tile, honey oak cabinets, large island, recessed lighting, gas cooking, and flows into the dining room with vaulted ceiling and plenty of natural light. Off of the dining room you can enjoy your morning coffee in the cedar sun room which overlooks the pool and scenic woods. The stunning master suite is located on the main floor and features Brazilian cherry floors, walk-in closet, cathedral ceiling, recessed lights, ceiling fan, and a master bath with dual vanity, jacuzzi tub, and linen closet. Upstairs you will find the 2nd and 3rd bedrooms with ample closet space and a massive 4th bedroom with sliding closet and full bath. An office nook and additional full bath round out the 2nd floor. The full finished basement houses the 5th bedroom and another full bath with stall shower which can easily be utilized as an in-law suite with a 2nd family room and fitness area. This gorgeous home also has an in-ground pool with sundeck, diving board, and slide surrounded by professional landscaping with a sprinkler system. Finding room to park won't be an issue with a 3 car attached garage that has access to the basement along with an oversized 2 car detached garage with 12' doors and a 26'x28' loft. This home truly is a 10 and also features 7 zone radiant flooring, a central vacuum system, 10ft ceilings, and both oil and gas heating. Don't miss out on your chance to own a custom home with loads of amenities. Schedule your appointment today!" "(2) homes on 6.9 acres for the price of (1) !! 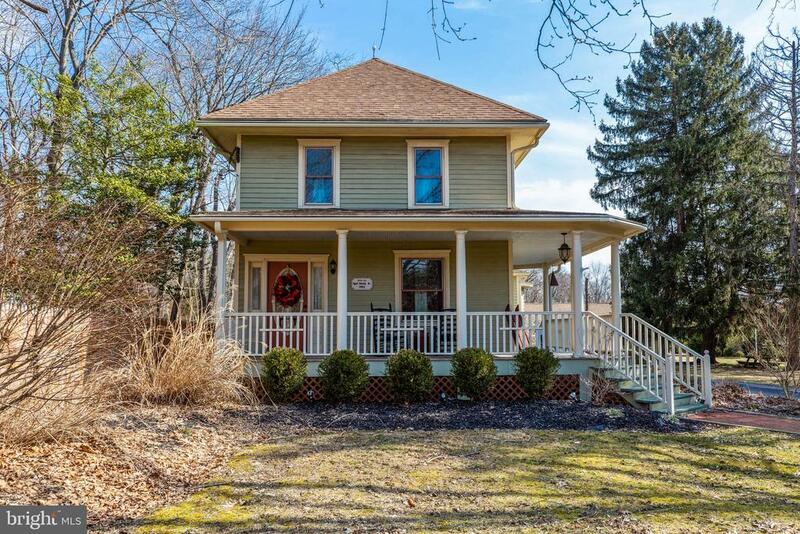 This 1912 Victorian has the charm of the old but the modern features of today! You will love the newer kitchen with its Wolf commercial range, granite countertops, under mount sink & wine refrigerator. The family room has a gas fireplace and adjoining breakfast room. There are 3 bedrooms on the 2nd floor and a full bathroom. There is a possible 4th bedroom space also! The second bedroom has 2 levels with a spiral staircase that leads to the private loft! This property offers a newer gas boiler, new public sewer line in (2015) and recently poured concrete on the basement floors. Also located on the grounds is a grand-fathered (in) (Guest-House) to be occupied by a relative only. In the (quest-house) you will find 2 bedrooms, living room, kitchen, bathroom and a den with its own heat and electric. 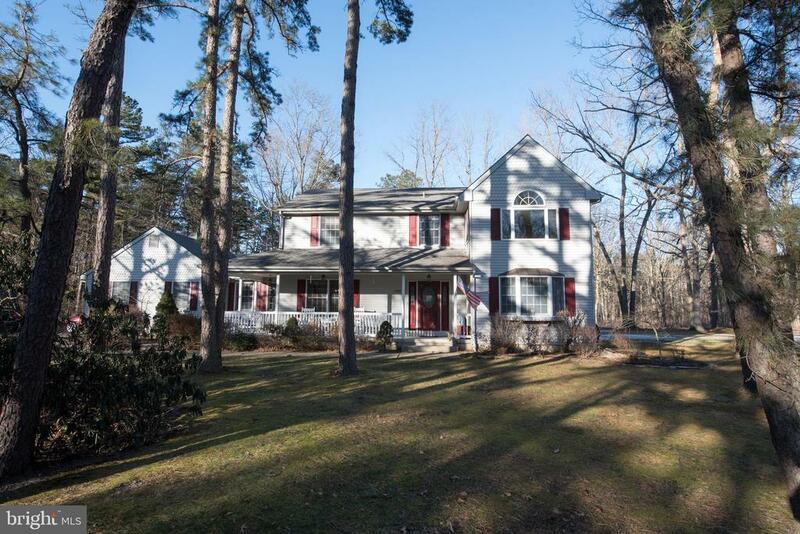 This property is a Waterford township landmark with its flowing land, Christmas trees and privacy!" 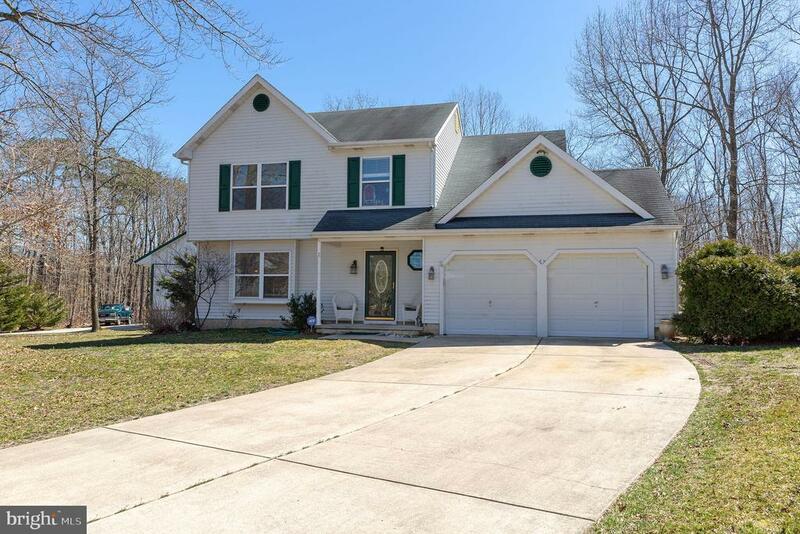 "Prestigious Stone And Brick Home With Private Office/In-Law Suite - Great For The Professional Needing A Home Office With Separate Entrance Or It Can Be An In-Law Suite - Custom Built By A Prominent Attorney For His Fam - Sits On 4.7 Acres On The White Horse Pike, - Spacious Fam Room 29x17 With Radiant Heated Floors - Heated Florida Room 41x11 - Den 17x13 - Living Room 34x18 With Brick Fireplace - Formal Dining Room 26x15 - Finished Basement/Game Room 45x29 With Kitchen - Gas Heat - Central Air - 3 Car Garage Plus Carport - Full Finished Basement With Custom Hand Crafted Wet Bar And Separate Kitchen - Multi-Zone Heat And A/C - Cedar Closet On Second Floor - Greenhouse With Heat In As-Is Condition - This Home Could Also Be Turned Into A Professional Office With A Strategic Location On The White Horse Pike - See Listing #6831285." "Welcome to Atco at its finest! This magnificent, custom home awaits new owners with its size and appeal. At first glance, up the large driveway, a large front porch will catch your eye inviting you to enjoy morning coffee or a good book while enjoying the peace and quiet. Many new memories will be made inside where a formal dining, gaming, and living room offer the perfect transition into your beautiful kitchen. This space has been completely transformed with stainless steel appliances, granite counter-tops, a kitchen island, and a gorgeous tile backsplash. The new grand staircase leads up to 3 oversized bedrooms and a master suite. Your new domain comes complete with skylights, a walk in closet, and gorgeous on-suite. Turn on the jets and relax after a long day in your new soaking tub! The downstairs office makes working from home a pleasure but can also be used as a new playroom for the little ones. Plenty of storage space in the attached two car garage and additional shed is another bonus. With warmer nights coming, enjoy the paver patio outback while you welcome new guests at this year's BBQs and celebrations. The home also includes an invisible fence so your pets can enjoy their large lot as well. Don't delay on scheduling a private tour for this MUST SEE!" "Gorgeous Colonial Style Home in Tremont; Beautiful Vinyl and Brick Exterior is Highlighted by Custom Walkway Leading to Covered Front Porch; Driveway is Extra Wide and Leads to Attached Single Car Garage; Front Exterior is Also Highlighted by Mature Trees; Back Yard is a Great Place to Entertain with Private Fence, In-Ground Pool, and a Large Back Deck; Enter Into the Bright and Sunny Foyer Area with Tiled Flooring and Coat Closet; Living Room is Beautiful with Hardwood Flooring, Large Window for Natural Lighting and Opens to Family Room; Dining Room Offers Plenty of Room for Elegant Dining with Space for Your China Cabinet and Chandelier Lighting; Kitchen is Highlighted by Clean Tile Flooring, Ample Cabinetry, Countertop Space, Breakfast Bar, Stainless Steel Appliances, Recessed Lighting, and Leads to Laundry Room and Powder Room; Family Room is Warm and Inviting with Hardwood Floors, Brick Lined Wood Burning Fireplace and Opens to Kitchen; Sun Room is a Gorgeous Place to Relax or Work Out with Tiled Floors, Ample Windows, Skylights, and a Sliding Glass Door Leading to Back Yard; Main Bedroom is Large, Featuring Plush Carpeting, Ample Closet Space and a Private Master Bath with Single Vanity Sink, Tiled Flooring, and Tub; Additional Bedrooms are a Nice Size and Have Ample Storage and Share a Squeaky Clean Hall Bath with Tiled Floors and Backsplash, Single Sink Vanity, Medicine Cabinet, and a Stall Shower; Totally Finished Basement is a Perfect Den, Game Room and More with Soft Carpets, Powder Room, Storage Room, and Utility Access; Extra Room in Basement is Currently a Great Hobby Room for Miniature Trains; This Home Offers So Much! This Home Will Not Last!!! Certified Pre-Owned Home Has Been Pre-Inspected, Report Available, See What Repairs Have Been Made!" 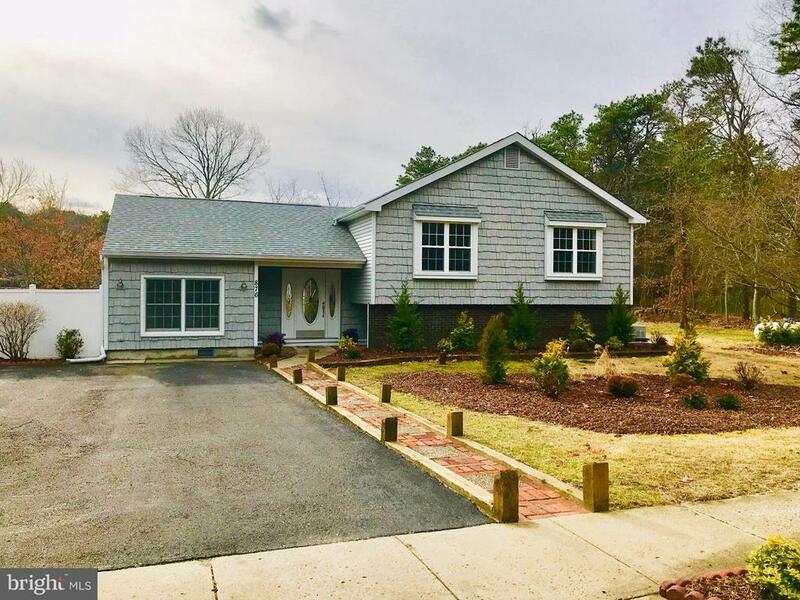 "Spectacular, NEW, NEW 4 bedroom, 2 1/2 bath, 2 story Colonial in Atco, 22x12 country kitchen with Custom stainless black appliances and Shaker style kitchen cabinets with granite countertops, 19x13 fam room, 15x15 master bedroom with master bath and walk-in closet, 9' ceilings 1st floor, Custom trim package, Wood laminate 1st floor, Wall to wall carpet 2nd floor, Additional 750 sq. ft. in finished basement with 9' ceiling fully insulated, Energy efficient gas heat and central air, Attached 2 car garage, Maintenance free vinyl siding, Public sewer and Private water, Awesome schools, Hammonton High School, This is a once in a lifetime opportunity, See documents folder for list of inclusions. Taxes are estimated." "NEW SEPTIC system is in the works! 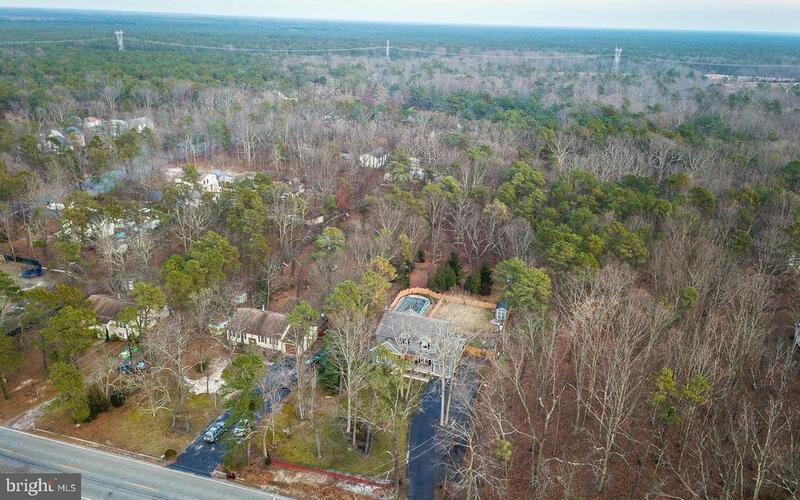 Sitting on over 3 & 1/2 acres surrounded by over 30+ unbuildable acres is where this upgraded & beautiful over 2200 square foot rancher awaits you. An open floor plan all around. The spacious living room can accommodate many interior designs. It flows to a formal dining room that is truly the place to host. Get those ideas together in the modern kitchen with stainless steel appliances including a new range and high end drawer microwave with warmer. A large family room with tile flooring and wood burning stove cap off the common areas. The main bedroom is without a doubt a master suite. An enormous room coupled with an updated bath and walk-in closet in addition to sliders leading to a spacious rear deck. This deck overlooks much of grounds which have a wide clearing and tree lined privacy in the back. From inside or out swing back around for a nice sized, partially finished, walk-out basement. Coming up the 15+ car parking driveway you will be blown away by the oversized, detached THREE car garage. Definitely a masterpiece that will be appreciated. An unlimited amount of things you can do here. Last but not least, the 2nd floor of the garage is a gigantic space over 700 square ft with mutliple possibilities for usage. USDA eligible. Lender credits available." 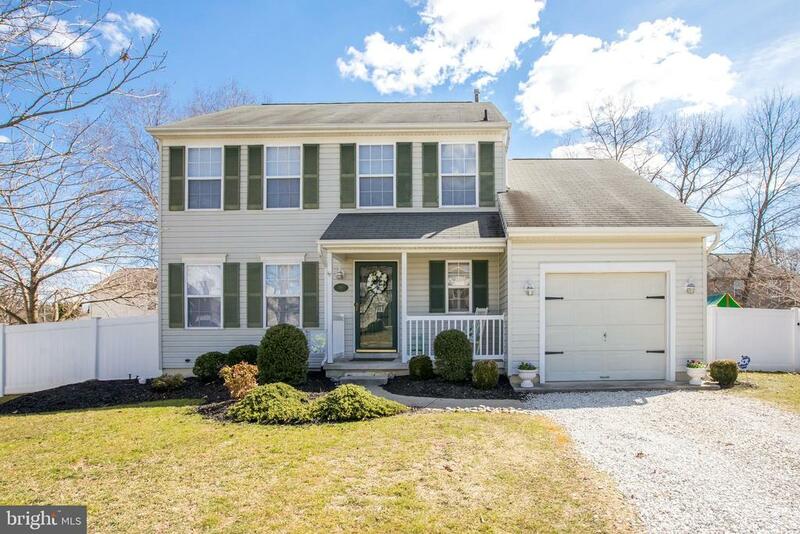 "Spectacular, NEW, NEW, 4 bedroom, 2 1/2 bath, 2 story Colonial in Atco, 22x12 Country Kitchen with Custom stainless black appliances and Shaker style kitchen cabinets with granite countertops, 19x13 fam room, 15x15 Master bedroom with master bath and walk-in closet, 9' ceilings 1st floor, Custom trim package, Wood laminate on 1st floor, Wall to wall carpet on 2nd floor, 9' ceiling in fully insulated basement, Energy efficient gas heat and central air, Attached 2 car garage, Maintenance free vinyl siding, Public sewer and Private water, Delivery end of October, Finished 750 sq. 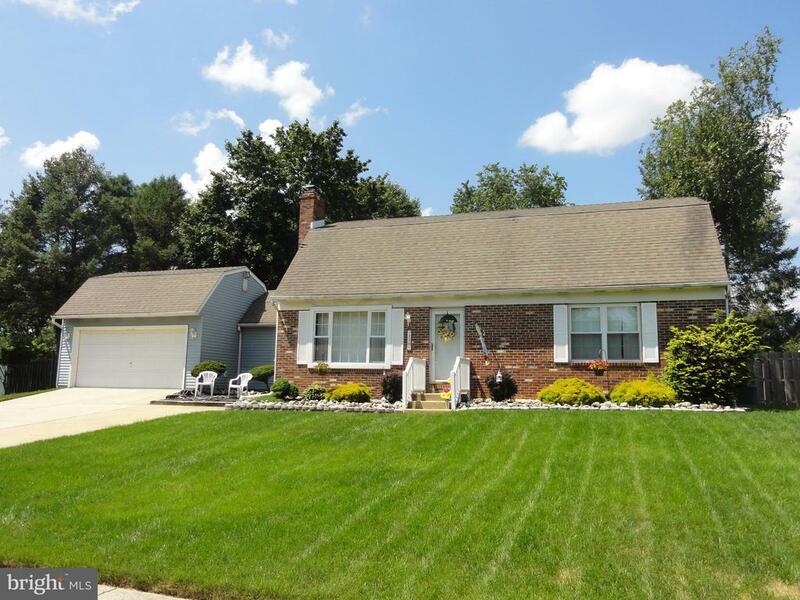 ft. basement available for $10,000, Awesome schools, Hammonton High School, This is a once in a lifetime opportunity, See documents folder for list of inclusions. Taxes are estimated." "Welcome to Legacy at Waterford Pine a Premier 55+ community. 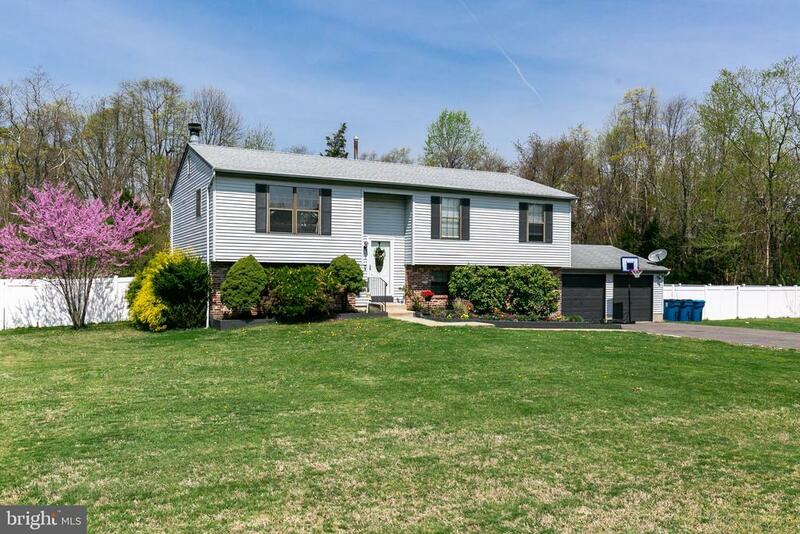 This immaculate Rancher features 1826 sq. ft. with 2 1/2 baths, an open floor plan, finished basement, over sized Trex Deck, that last a lifetime and 2 car garage. You are greeted by a spectacular foyer with hardwood floors and a coffered ceiling. The Great room boasts beautiful hardwood floors, a 15' vaulted ceiling, an abundance of windows, floor-to-ceiling stone gas fireplace with heat-circulating fan. The Gourmet kitchen boasts an abundance of 42 cherry cabinetry, granite counters (including a huge island), tile back splash, clerestory windows, and all stainless steel appliances. The pantry in the kitchen provides even more storage for all of your gadgets and groceries. The spacious Master Suite includes a huge walk-in closet and private, ceramic-tiled bathroom with two shower heads in the walk-in shower and dual sinks to provide a spa-like experience for the lucky homeowners. The expanded second bedroom features a cathedral ceiling and large, walk-in closet. The third bedroom could be used as an office, sewing/hobby room, or music room. There is also a first floor laundry room with front loading washer, dryer and an over sized sink. The incredible basement is finished with a 9 ft. ceiling to include a huge recreation room and a powder room. The basement also includes nearly 1000 additional square feet of storage just waiting to be finished to meet the new owners' needs. The HVAC system contains an electronic dust zapper to keep the entire house dust-free. A maintenance free deck with Sunsetter automatic awning provides outdoor entertaining space. Pride of ownership throughout this like-new, smoke-free home. Enjoy the gym, game room, entertainment room, shuffle board and putting green in the Clubhouse. Don't delay, come and see this house today!!" 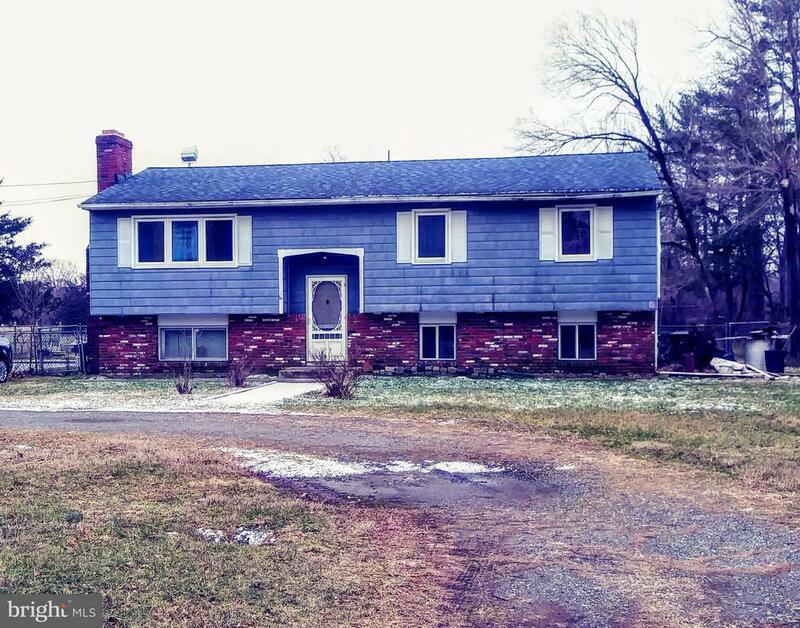 "Look no further here is your opportunity to bring this wonderful property back to life. The barn is great for stabling up to 10 horses. Needs some TLC. AS IS"
"If you're looking for not only the WOW factor AND a home to simply move in and enjoy, then this is the home you've been waiting for! Fully renovated less than a year ago, this home was transformed from top to bottom with only the finest in quality appointments. As you approach, take note of the exceptional curb appeal with ample parking in addition to the two car garage. The roof was replaced as well as the windows and the exterior is maintenance free aluminum siding. As you enter into the foyer, the living room overlooks the front grounds and is open to the dining area and kitchen, the floors are gorgeous gleaming hardwood and the walls are neutral. The dining area overlooks the rear yard. The kitchen is an absolute dream! The cabinets are designer cherry and they are abundant, the flooring is ceramic tile, countertops are granite with a subway tile backsplash. All of the stainless steel kitchen appliances will remain and they are even under an extended warranty! The master bedroom suite is incredible and features a sitting room, two lighted ceiling fans and large walk-in closet. The luxury master bath features a state of the art shower system with body wash nozzles and custom shower heads. There are two additional bedrooms each have two windows for plenty of natural light and each have lighted ceiling fan. A renovated full bath is located in the hallway. There is a finished lower level basement which can serve as a game room or office and unfinished space which is home to the laundry area and additional storage space. Some other extras include: over-sized two car garage (walls are sheetrocked) and there are 2 remote openers, HVAC approx. 1 year new, Roof 1 year new, Fully renovated baths, Designer kitchen with all high end upgrades and appliances, huge rear fenced yard. Homes in this condition are RARE - Don't miss out on touring this exceptional home!" "Welcome to desirable Sapling Run which is a beautiful enclave of built homes in this well established neighborhood. 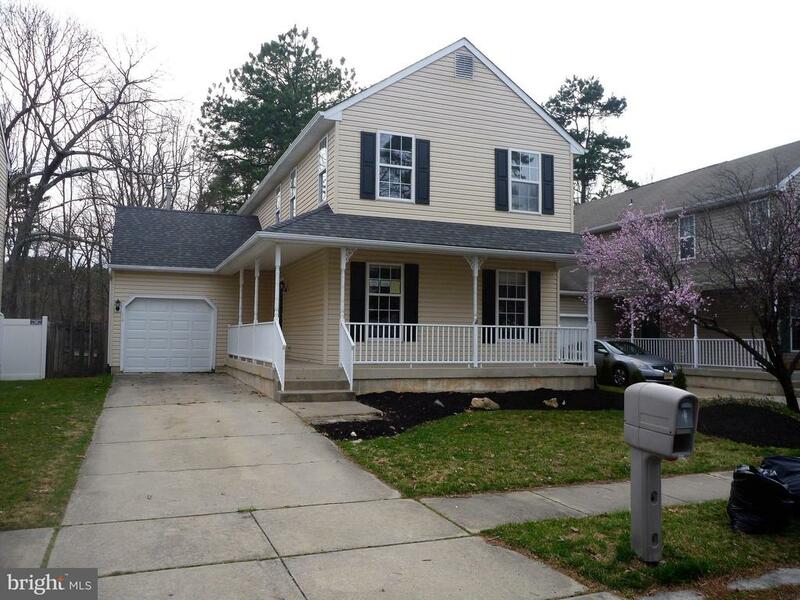 This Colonial has been lovingly maintained and is completely move in ready. Brand new roof is about to be put on! A Charming Front Porch area leads you inside to be greeted with tons of natural light. Wonderful layout flows perfectly and offers a family room and living room. Neutral colors throughout plus crown molding and chair rails. Kitchen features freshly painted cabinets, stainless steel appliances that are 5 years old including brand new dishwasher. Main floor laundry room with plenty of storage including new washer and door for inside access to garage. Sliding doors off of family room lead you onto lovely EP Henry steps and patio. Fully fenced in backyard comes complete with new cedar play set. All 3 Bedrooms are upstairs and offer plenty of closet space. Master has a walk in closet and full bathroom. There is also a 2nd Full Bathroom on this floor. Large Basement with high ceilings and plenty of additional storage space. Homeowner`s utilize this space for a Fitness area and as a fun playroom area in addition to all the extra storage space. Outside you will find is nicely landscaped including a 10 zone sprinkler system. 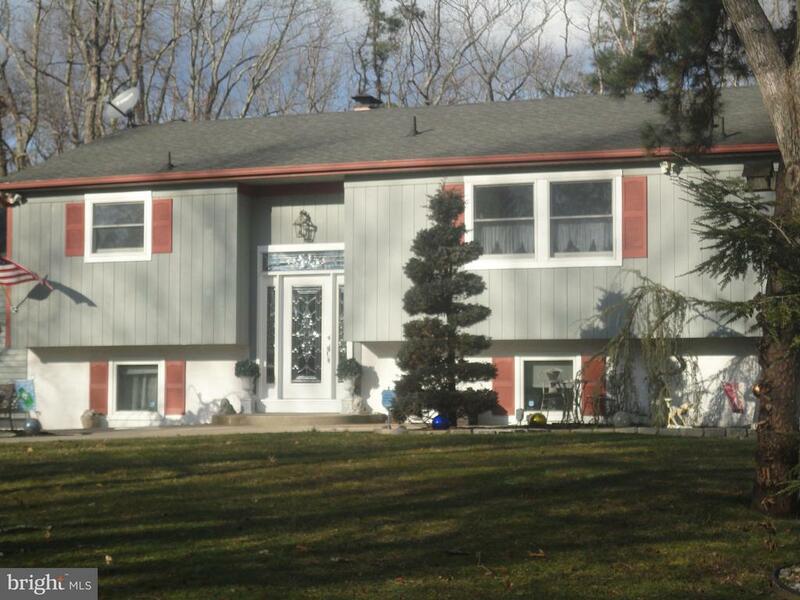 In close proximity to Park, Elementary School,Baseball Field, Hockey Court and only a 50 minute drive to the shore. Easy access to shopping, restaurants, highways." "Are you in the part of your home search where you are sitting back waiting for something new and exciting to happen? Looking for land? How does 2 acres sound? Do you want a garage? No, I'm not talking about the attached 2 car garage, I'm talking about the detached fully insulated 2 car garage featuring a car lift and air compressor with its own heat and air conditioning, making this workspace comfortable all year long!! The backyard is partially fenced off making it the perfect play area for your children or pets. Beautiful sunroom off the back offers tons of sunlight and even has its own gas fireplace. With all these great amenities I almost forgot to talk about the home. I think you and I can both agree that from the moment you walk in you can tell this home has been well taken care of. Upstairs features 4 spacious bedrooms with a Jack and Jill bath connecting to the master bedroom. If you don't schedule your showing asap someone else will." 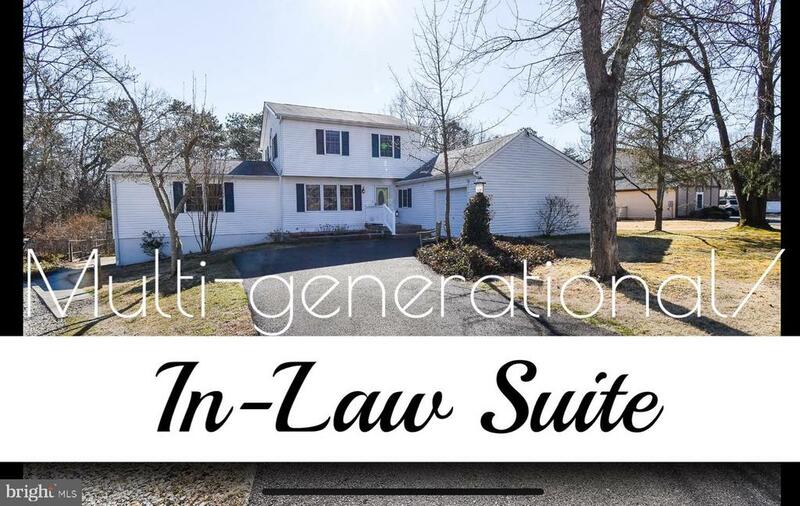 "Multi-Generational IN LAW SUITE....Time to check off every box on your wishlist here. Come see this spacious home on its own cul-de-sac. If you like nature you will love the backyard as it backs up to a huge un-buildable wooded lot. Great for deer and nature watching as you drink your cup of coffee in the morning. Inside the possibilities are endless. You walk into a nice family room that can be used as your formal living room. That flows through double doors into your kitchen coupled with a breakfast bar. Just beyond the kitchen is the sun room that would be perfect for the views mentioned earlier. The last treat of the main level is the highly coveted family room with high ceilings where you can spend most of your down time. Upstairs you will find all of your capacious bedrooms and full size bathroom. Downstairs is a full finished basement perfect for your kids to play. All of this and you still have your 800 sq ft multi generational in- law suite attached to the home (with its own a/c and electric). The main level of the suite is the kitchen and living area that leads to its~ own deck. The lower level is the bedroom and studioarea. The place could be perfect for a college aged student that is not ready to move out on their own, but still warrants his or her own space. Or even a master suite for a large family that would need a 5th bedroom. Previously it was used for entertainment as game room. Backyard features two wooden platforms currently used for yoga and meditation....Notable features & Upgrades: 200 amp electrical service main house, top of the line BTU energy efficient baseboard heat, 2 zone alarm system, separate enclosed fence area for pets, double hung insulated full screen windows, 4 zoned gas heat, some of the best utilities on the market today - and a FREE 1 YEAR HOME WARRANTY!" 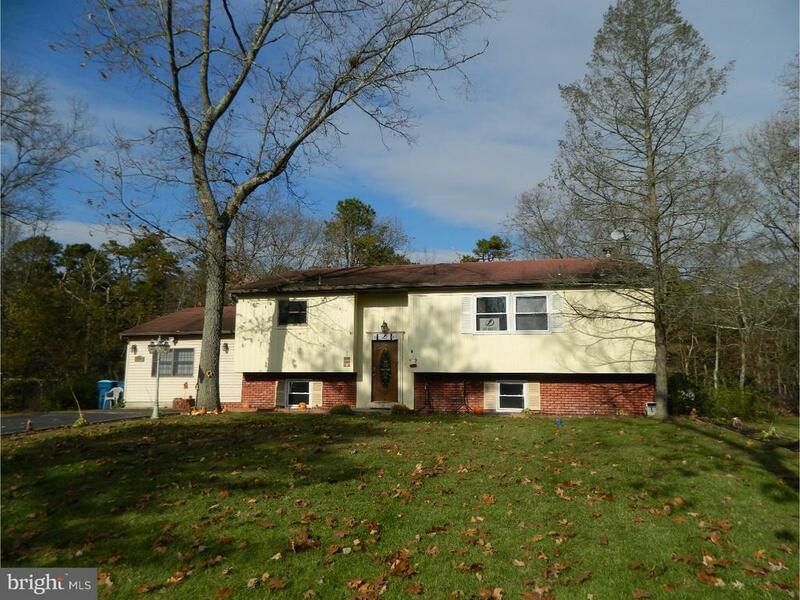 "Don't miss the opportunity to own this 5 Bedroom 2 Bathroom home in Deerpond Development. Great back yard for all your entertaining. Zoning is R-2, home can be used as a rental income owner has all the paperwork." "Enjoy lots of living space and the unique design of this spacious home. The main level features the large living room with fireplace, the dining room (adjoins the living room), eat-in kitchen and a large master suite-which includes access to the rear deck, sitting/office area, double closet plus walk-in closet and full bath. The lower level features two additional bedrooms, full bath, fam room and laundry/storage/utility area. The converted garage offers additional living space with access to the backyard/pool area. The rear deck stretches across the back of the home and looks down unto the impressive backyard with inground pool, hot tub, deck, and patios. Needs some tlc but will be worth the efforts. See it Today!!" "Come tour this spectacular home! This Upgraded bi level features 3 spacious bedrooms, 2 and 1/2 baths! As you enter into the bright welcoming foyer, you will notice the new front door with sparkling transom windows. The spectacular chandelier welcomes you into the foyer. Upstairs you will find the large country kitchen with fresh paint, formal dining room with upgraded light fixtures, and access to the new trex deck that spans the entire back of the house. Enjoy Dining by the double sided fireplace that beckons you to relax in the formal living room with the view of the tranquil back yard. This gorgeous room has recessed lights, wood floors, crown molding and the double sided fireplace. Down the hall you will find the Large Master suite with master bath, walk in closet, upgraded light fixtures, sitting area, crown molding to match the living room and transom windows to match with entry foyer. Another set of sliders access your view of the yard. Enjoy morning coffee and the wildlife while relaxing on your deck. Downstairs you will find another 2 spacious bedrooms, a fully refinished full bath with upgraded custom tile, neutral decor, familyroom featuring a gas brick fireplace and sliders to the access the yard. The property was professionally landscaped out front and has a park like setting out back. The home has been meticulously maintained. The seller is looking for an as is sale but not to worry will provide receipts for maintenance and will include a 1 yr home warranty for peace of mind. Call today you will not be disappointed!" "From the moment you set eyes on this maintenance-free vinyl sided home with newer windows, you will want to make this your new address. Located on a quiet road and is just minutes from the center of town. Imagine yourself only paying 35 dollars a month for electric because of the solar panels. Enter in the home and it will take your breath away. Go up to the main floor and you will be greeted with large bedrooms, an amazing kitchen with tile floor, granite countertops, a built-in microwave complete with a breakfast bar and tile backsplash. Watch the seasons unfold from the large deck that overlooks the rear fenced in yard. The ground floor features a warm and cozy fireplace in an outstanding living room. There is even an office area on the first floor. It just keeps getting better~ Make everyday a vacation with your own in ground pool. 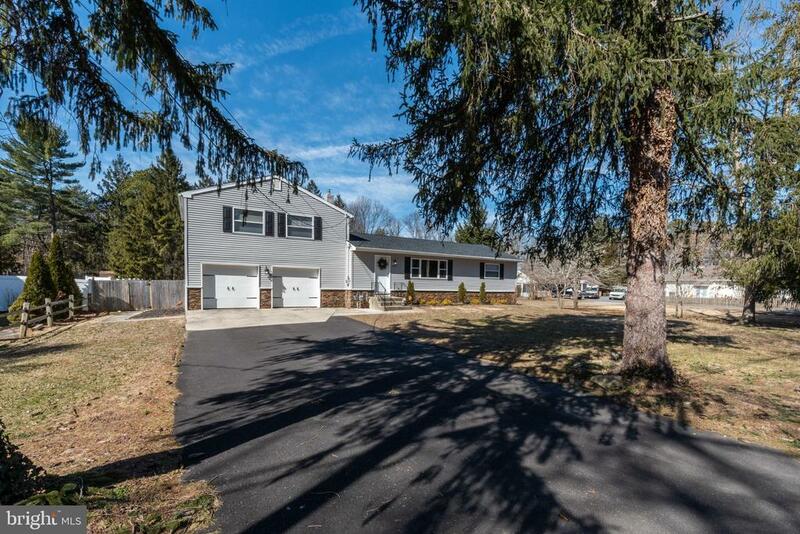 This home boasts a garage, 2 full baths and 3 large bedrooms. Make the best move of your life!" "Never be in the dark again! Complete whole house automatic start generator to keep the power on during the bad storms! 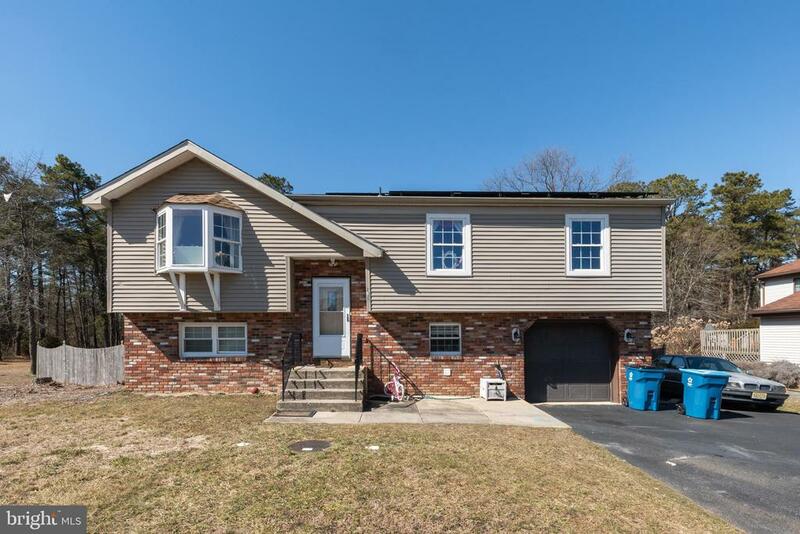 Then walk right into brand new, completely renovated four bedroom, bi level home located on a large wooden lot in Atco, Hammonton School District. This home greets you with its wide open foyer. All dark solid hardwood floors catch your eye as you enter the living area then leads into the kitchen. Beautifully remodeled kitchen with high end stainless steel electric stove, bright white custom cabinetry, a open kitchen floor plan for entertaining and gorgeous granite counter tops! The fresh new bathrooms have a soothing feel between the cool neutral colored walls and striking custom vanities! This homes master bedroom has direct access to the bathroom as well as large closet. Step out into the wooded backyard oasis to a large outdoor patio, ideal for grilling and family get-togethers. It's time to unpack! This home is move-in ready with attractively updated bedrooms, an abundant amount of living space, a new roof and more. The only thing that is missing is you!" 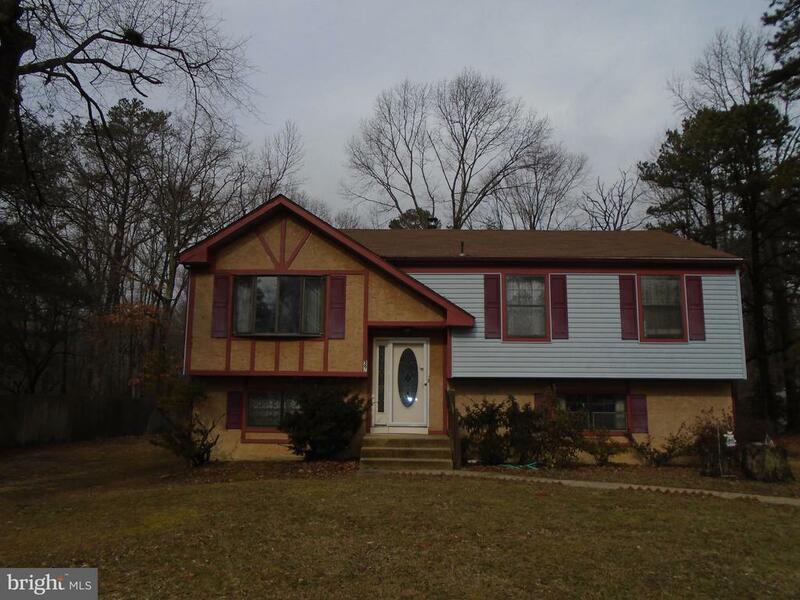 "Great home with a ton of updates! This home has new flooring and fresh paint throughout most of the main living areas. The floor plan is open and offers great entertaining options as the living room, formal dining room and large kitchen all flow together! The kitchen is updated with stainless steel appliances, quartz countertops and freshly updated cabinetry! There are three bedrooms on this floor plus a full updated bath and a master suite with its own separate bath as well! The lower level has two large areas perfect for playroom, family room, home gym or office! All of this plus a two car garage, deck off of the main level, fully fenced yard with new vinyl privacy fencing and newer roof! Make your appointment to see this great home today!" "Move right into this newly renovated home. Features include: New kitchen, all Stainless Steel appliances, Granite counter tops and tile back splash. Newly redone flooring throughout. Remodeled bathrooms with new vanity, mirror, lighting, toilet, tile flooring, and tile tub surround. Good-sized closets with 6-panel doors. Whole house has been freshly painted in tasteful neutral colors. Make your appointment today." "Don't miss this spectacular 2 story Colonial Victorian with front wrap around porch for those porch rockers, Enter into spacious living room with stone gas fireplace, Adjacent is a large formal dining room, Onto gorgeous brand new custom kitchen with stainless steel appliances and vinyl prank flooring, Off the kitchen is a slider to deck overlooking a shaded back yard and preserved open space, no neighbors behind you, Upstairs 3 spacious bedrooms with a huge master bedroom and new master bath with walk-in closet, The 30x18 finished basement is to die for. This home is totally redone, New roof, New gas heater, New kitchen and appliances, All 2 1/2 bathroom are new, New carpets and freshly painted. This is a knocked out home. Hurry!!" 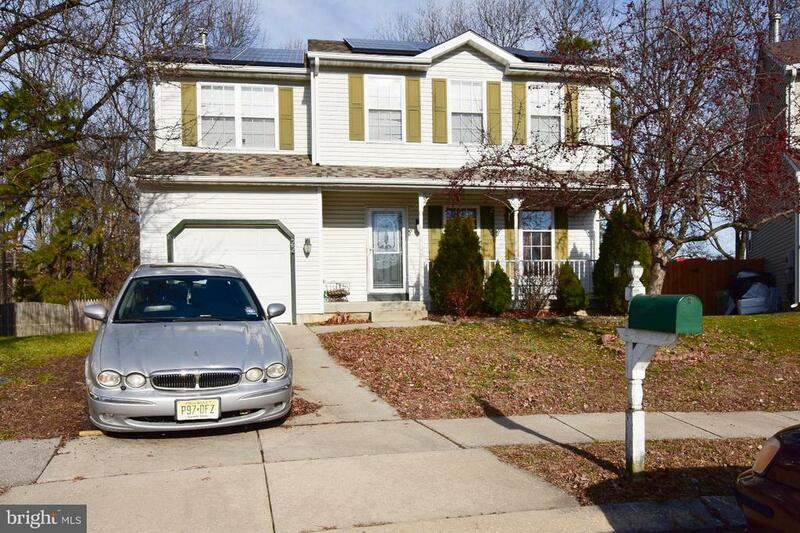 "Welcome home to this 4 bedroom, 2 1/2 bath cul-de-sac home in desirable Woodstream development. Home boasts foyer entrance; cathedral ceilings in the family room; beautiful hardwood flooring in the living room, family room and dining room. Eat-in kitchen offers tile flooring, pantry and sliding glass door to deck. Master bedroom has huge bathroom and large walk-in closet. Home features newer windows; newer stove, newer a/c condenser and newer roof. Basement is huge and finished with a media room and wet bar. 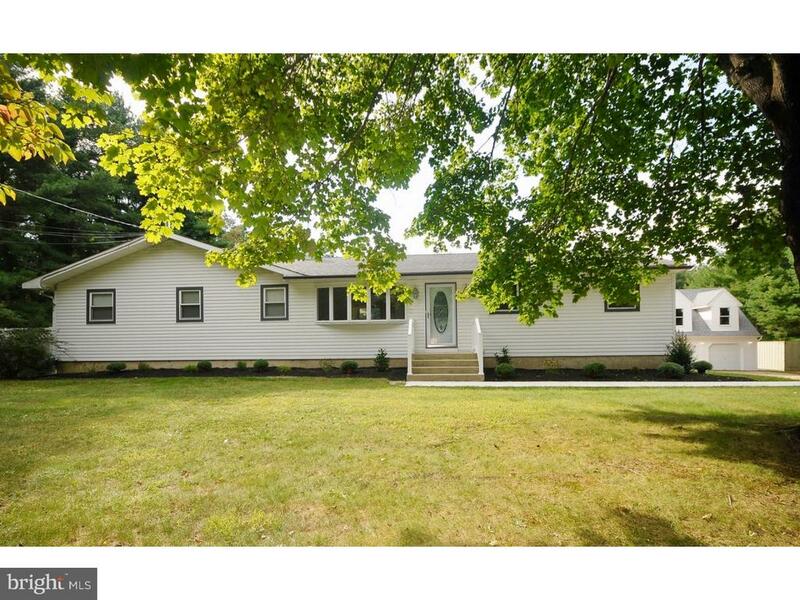 Exterior offers large front porch, rear deck, fencing and plenty of privacy. Don't delay - make your appointment today!"